He graduated in Medicine and Surgery with honors at the University of Palermo in 1988 and specialized with honors at the Urologic Clinic of the University Hospital in 1993. Winner of a scholarship at the University Clinic of Urology of Palermo from 1988 to 1993. He is consultant urologist of the Reproductive Biology Center. He's consultant urologist at the multidisciplinary ambulatory for Sicily and Sardinia of the State Police. He is author of scientific publications in national and international journals. Former adviser of the "Società Siculo-Calabra di Urologia", a scientific society for urologists from Sicily and Calabria. 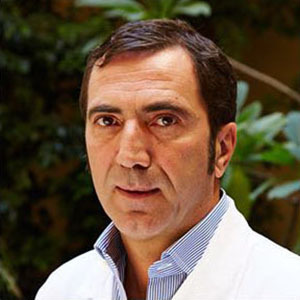 Since 1993 he is Director of Urology at the "Candela Clinic" in Palermo, where he performed numerous urological endoscopic procedures and open surgeries.